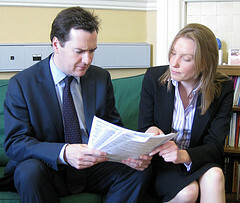 Tracey Crouch MP, Member of Parliament for Chatham & Aylesford, who once worked for grammar school advocate and supporter Michael Howard, http://www.kentonline.co.uk/kentonline/newsarchive.aspx?articleid=15410 recently attracted attention in the KentOnLine paper when her question to the Education Minister, Nick Gibb during a debate on July 12th, 2010 was highlighted. The Minister of State, Department for Education (Mr Nick Gibb): Ninety-five expressions of interest in academy status have been received from schools in Kent, and nine expressions of interest have been received from schools in Medway. Tracey Crouch: I thank the Minister for his reply, and I am sure that he will be reassured to hear that many of the head teachers I have spoken to are genuinely very enthusiastic about the programme. The Minister will be aware that many of the schools in Kent and Medway that have expressed an interest are grammar schools. 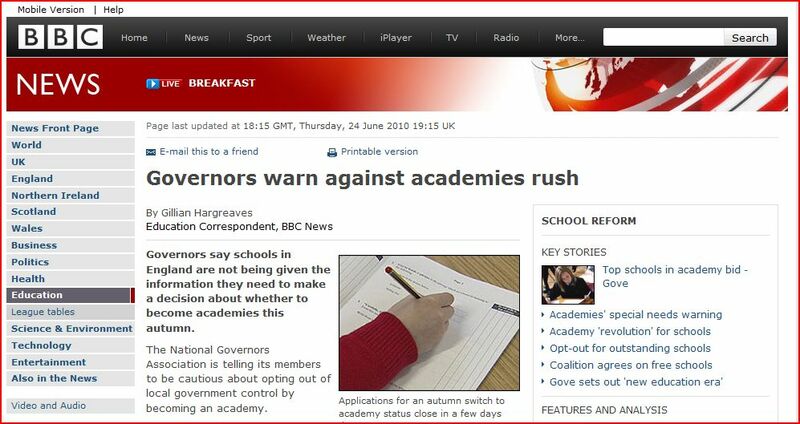 Can he assure the House that if they were to become academies they would retain their selective status? 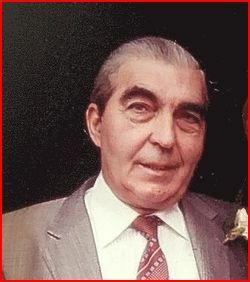 Mr Gibb: I am happy to give my hon. Friend that assurance. 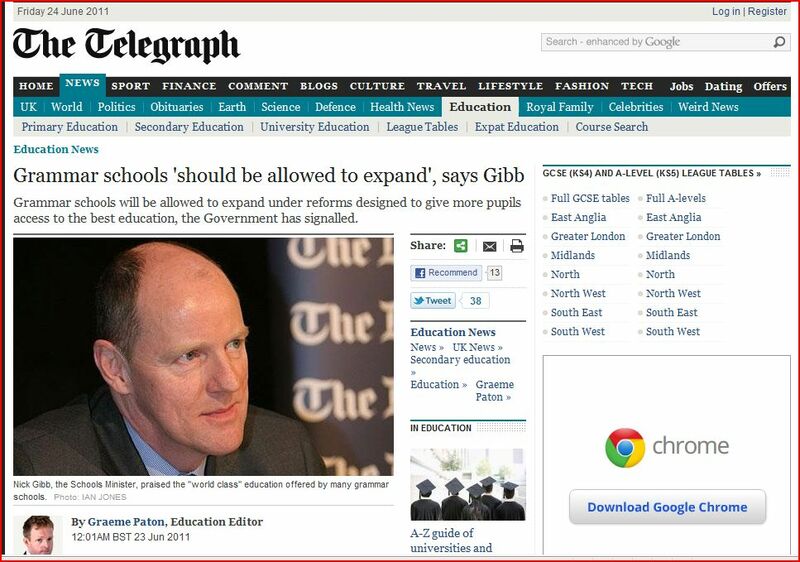 Mr Gibb was attempting to give reassurance to those concerned that grammar schools which had applied to become Academies would no longer be permitted to use academic selection to determine admission. 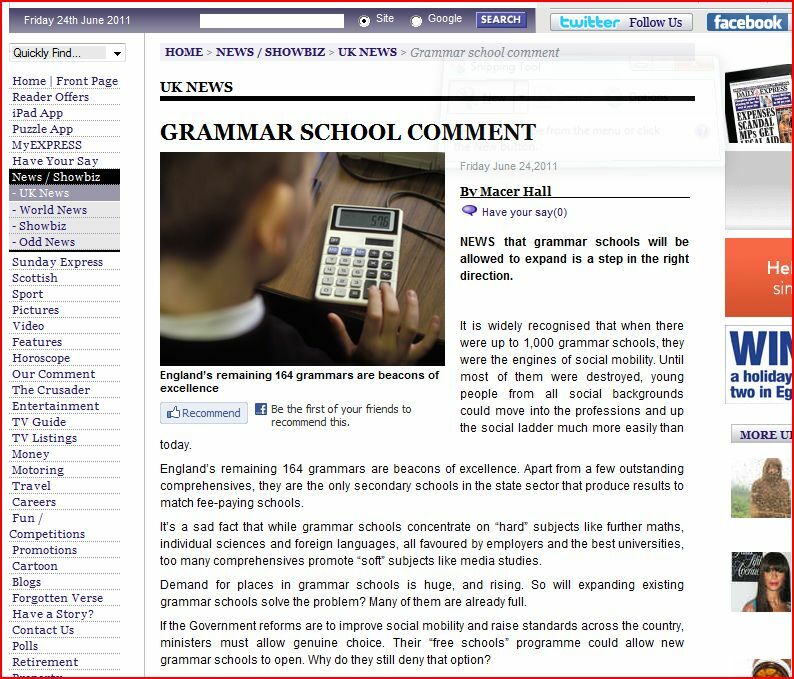 This issue had been previously raised by the National Grammar Schools Association (NGSA) after careful scrutiny of the current legal position. Over ninety grammar school heads have made initial applications to become Academies without properly consulting and gaining the consent of the governors and parents of their schools. Once an Academy changes can be made without consultation with parents. Tracey Crouch attended Folkestone Grammar School. 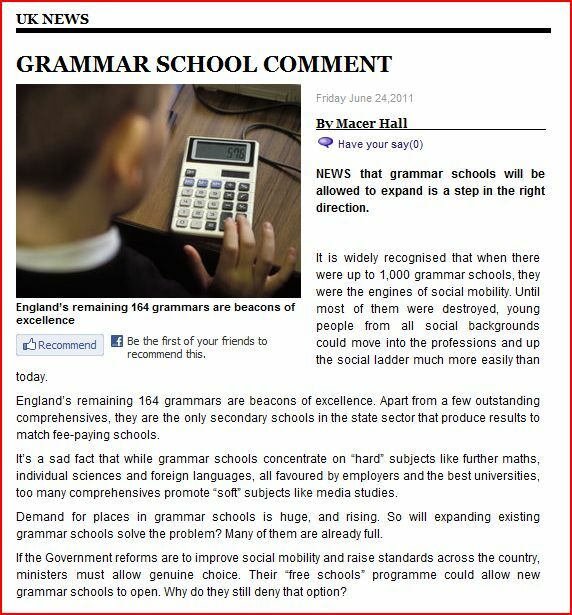 The question must be put – When Tracey Crouch spoke with the heads and was told of their intention to apply for Academy status was she unaware of the implications for the future of grammar schools? 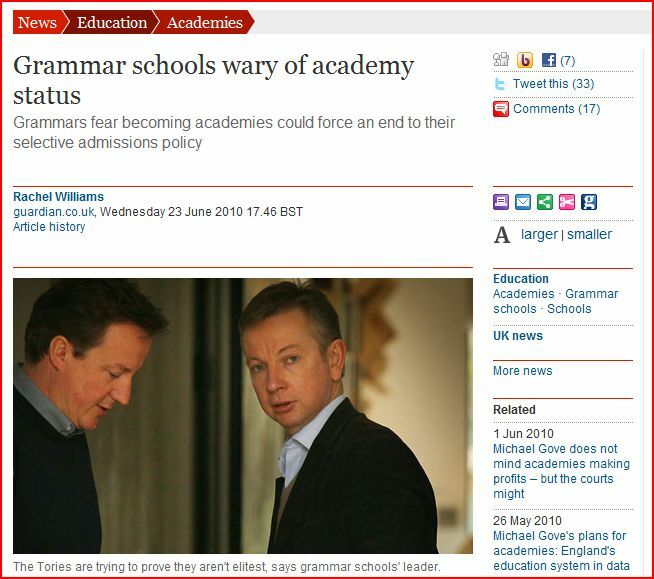 It seems that a grammar school education is now an inconvenient fact in David Cameron’s PR wonk ridden government.